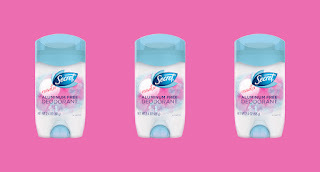 Steward of Savings : FREE Secret Aluminum Free Deodorant at Shopper Army! FREE Secret Aluminum Free Deodorant at Shopper Army! Are you signed up for Shopper Army ? If you enjoy reviewing FREE Product Samples, here's your chance! Shopper Army is offering possible FREE Secret Aluminum Free Deodorant Sample for a limited time, simply log in or register, then click 'Offers', then complete FORM for your chance to receive Secret Deodorant Product Samples to review!